So many ideas swirling through my head for this challenge, but in the end I went with one of my favourite sewing mixes - Liberty, Linen and Perle Cotton thread. Yum! I envisage this as a small table topper but will gift it to a friend who loves Liberty and see what she uses it for! I am happy to say that all the fabrics used to make this were pulled out of my scrap box, so I am linking up with Scraptastic Tuesday as well as Le Challenge. A lovely mix of gorgeousness!! 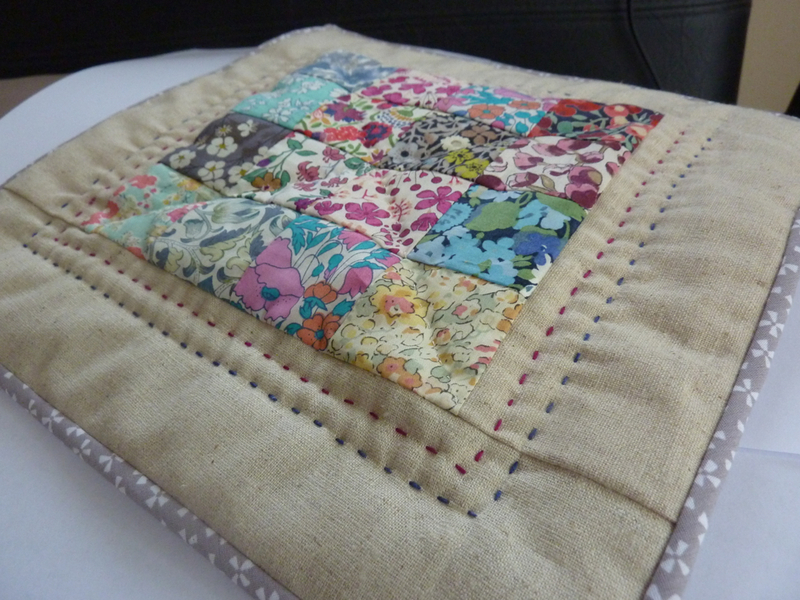 That liberty looks so pretty with the linen! You have a very lucky friend! More than a mix it's an ensemble! Great little combo! 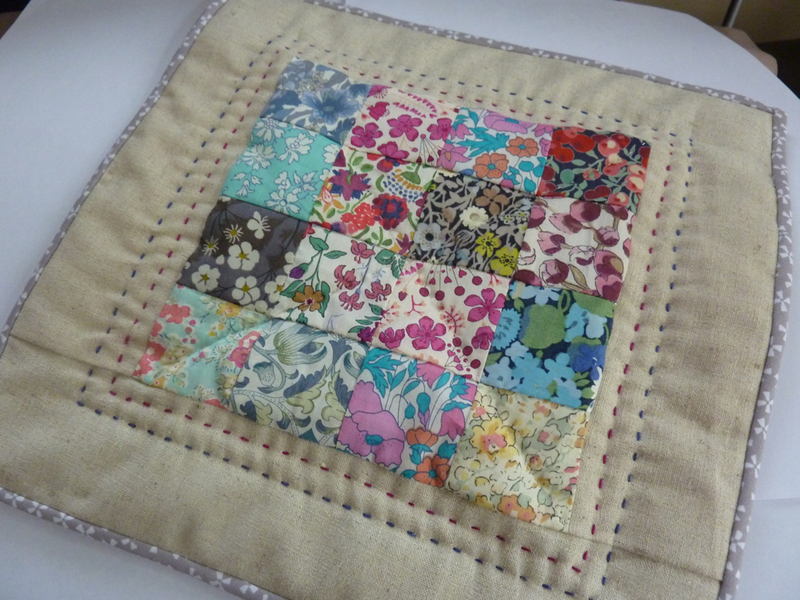 I liked it as soon as I saw the Liberty but linen and perle cotton are two other favs of mine! Thank so much for linking up with ScraptasticTuesday! Really love the binding you went for, it finishes it beautifully! So beautiful and hard to believe those were scraps! I think linen, Liberty, and hand stitching were meant to be together!! It's a beautiful little finish - a delight to have worked on and then again a delight to gift to a special friend. Your combination of Liberty, linen, perle cotton hand quilting combined with your choice of binding has resulted in a wonderful finish. Awesome combo! one of my favourites too! Looks so lovely Deb! Delightful mix! Such a sweet project!! Love the is of liberty prints, thanks for linking up to le challenge! Very pretty and definitely a delicious MIX! Cute! You are right: you cannot go wrong with Liberty and linen. It's beautiful! 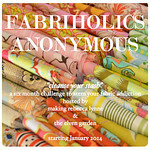 I love the idea of small scrappy projects, thank you for the reminder! It is so lovely. 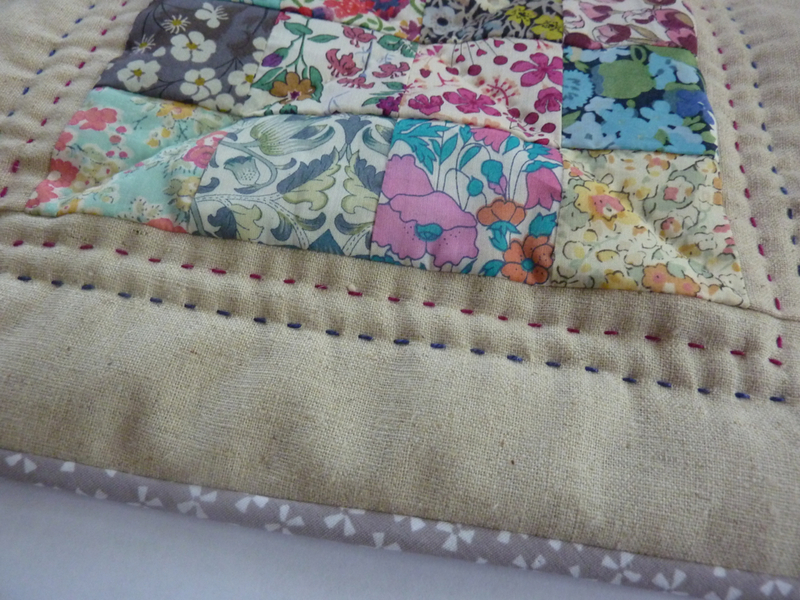 I love the patchwork and the hand quilting.